If I had a nickel for every time I heard Ike say "I guess I just got lucky" I would have a lot of nickels. Today was no different, but the truly lucky ones were Frank and me. I posted up that I was going to check out Makapuu on my way to Costco. JD was said to be up out of Cactus, so I was hoping for a quick flight and then I'd be off to shop. When I got to the LZ, JD was packing up, so I gave him a ride to his truck. 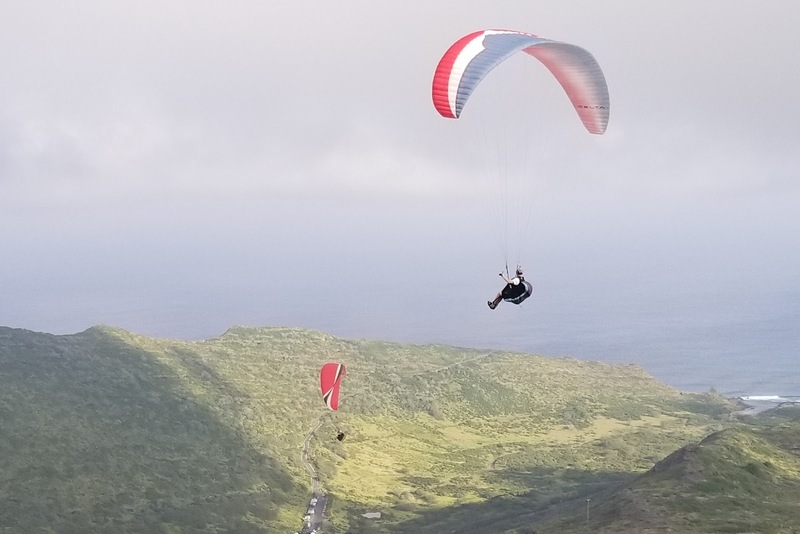 It was still flyable but no higher than 1100 feet, and no further than 3 poles, which did not appeal to me much flying alone. 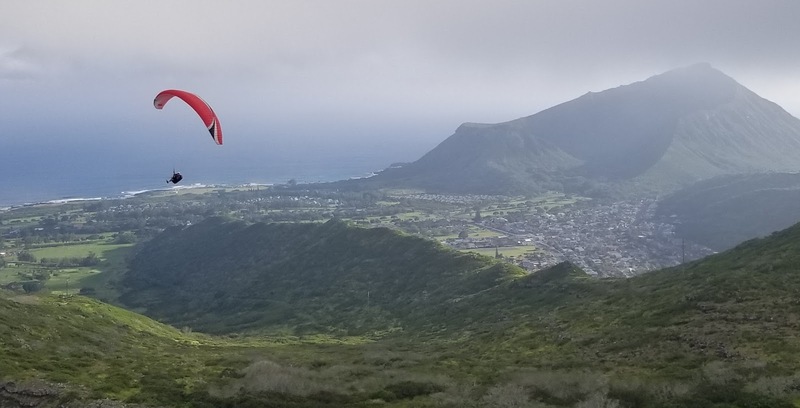 Then Frank and I passed each other, and he told me that he was checking Koko Crater, but wanted to take a peek at Makapuu first. We met back at Sandy's. The direction was good and the speed seemed perfect for Koko Crater. While gearing up, Ike pulled in and started getting ready with us. Well, now that the Guarantee was here we would definately get a flight. But then the wind changed, and Makapuu was now definitely the better call. We three launched Manics and flew around for an hour. A triple top landing at Manics was the perfect ending. Then we drove to the LZ for a quick debrief. Ike is definitely the Guarantee. Roll Call: JD, Frank, Ike and Thom. It's Time to Fly Get Ike and Go!!!! Great story Thom! Always good to have Ike along. He is a good luck charm for sure.